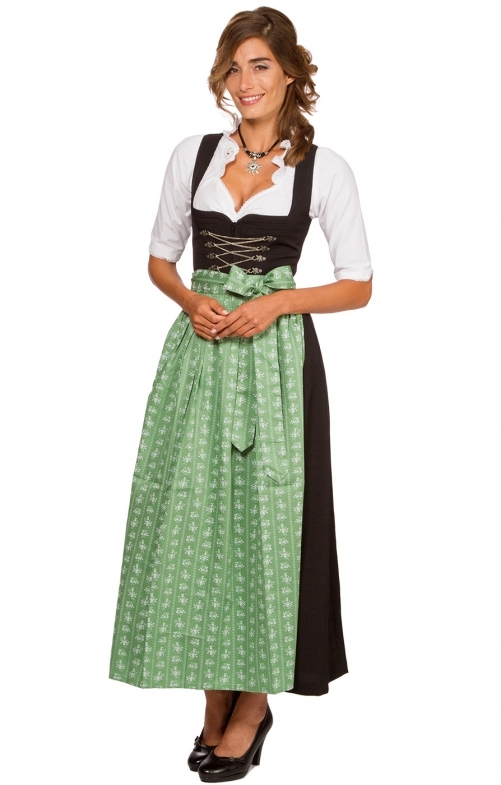 Women’s green Dirndl apron. This traditional green Dirndl apron is designed to be worn over a a beautiful Dirndl and ties in place with a matching green ribbon. The apron is made from 100% cotton and measures 96 centimetres in length, while the bold green colour is printed with a subtle white rosebud design. Get yourself ready for Oktoberfest. Schöner Stoff und tolle Farbe! Sieht zum schwarzen Dirndl einfach super aus.